Get your business name in front of people! ​Silkscreened directly on frames: XFS-? 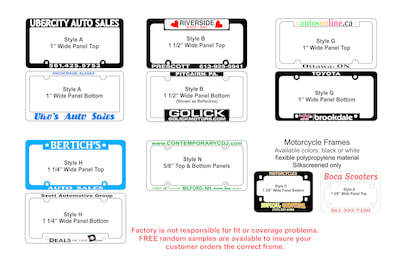 Automobile frames are all 6 1/8" x 12 1/4" - All narrow panels 5/8"
Motorcycle Available colors: black or white - Size: 5 1/8" x 7 5/16"
Production Time: 10-12 working days after art approval. Factory is not responsible for fit or coverage problems. 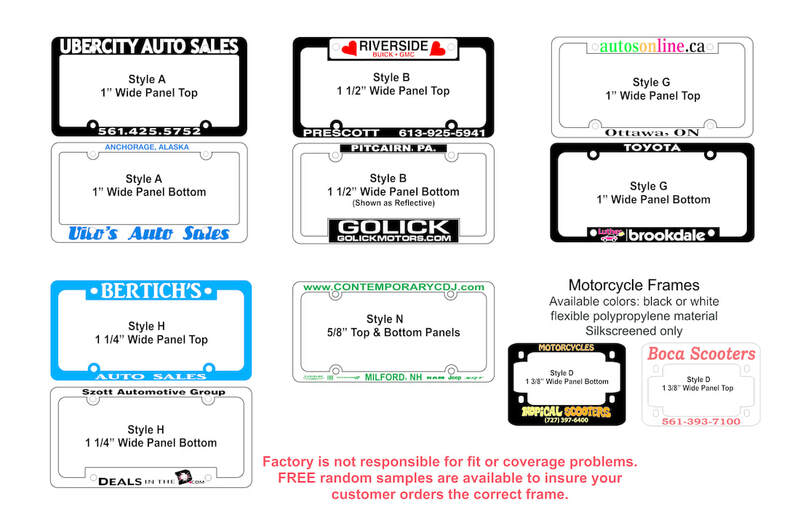 FREE random samples are available to ensure your customer orders the correct frame.